Formulating a campus safety plan for students and school personnel became one of the Electronic Security Association’s (ESA) priorities after the Sandy Hook tragedy. Since the beginning of 2000, more than 2000 students have been killed in campus shooting incidents in the United States, and more than 230 sustained injuries. Many of these incidents occurred during school hours and were carried out by those who had access to the school as a faculty member or student. A customized security plan is instrumental in helping schools prevent or mitigate future incidents. To help schools create an effective security plan, ESA recently released a comprehensive set of Electronic Security Guidelines for Schools. The guidelines, which are available for free public download, were created by a panel of experts with extensive experience in school security. These guidelines are a resource for schools considering procurement of an electronic security system. The document is a practical tool that emphasizes best practices and delivers insight on every step of the process from assessment of threats and funding options to selection of contractors and system integrators. ESA encourages schools across the country to take advantage of the best practices outlined in the guidelines and to contact a local ESA member with any questions. Whether it’s a kindergarten class or a college campus, students should never have to worry about safety and security while they’re at school. • Don’t take shortcuts through unfamiliar neighborhoods. • If possible, stay in groups. • Do not talk on the phone; it’s important to stay alert to the surroundings. • Try not to walk at night, and avoid desolate areas. • Do not talk to or accept items from strangers. • Immediately contact police if someone is following too closely or acting suspiciously. • Be sure to secure access to private communities – never allow strangers to enter behind you. Keeping students safe is a top-of-mind priority for parents, guardians and school administrators. We encourage administrators to take advantage of the free school security guidelines in order to formulate a plan for their schools. 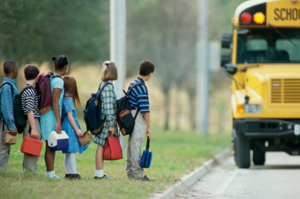 And, by sharing the travel safety tips with children, adults can help students avoid hazards and have a safer school year.